I am Eashaksamir SEO expert and level 3 seller. 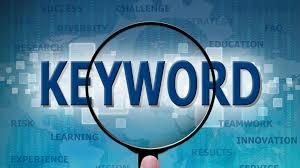 Now I will provide you Full SEO Keyword Research And Competitor Analysis. 100% keyword research Satisfaction! If you want to rank 1st page on Google, you will need the BEST low competition - high traffic profitable keywords for your niche. This is the 1st and most important step for SEO. If you don't invest in proper research, all the work afterwards, on the page or off page S E O will be useless and a big waste of time and $$$. I will only need your URL (or niche) and targeted country (or location)I will make a thorough keyword search to find the best kws for your niche and location.